A young boy witnesses the brutal beating of his father and violent death of his mother one horrible night on an isolated street. Flash forward several years later, and the kid is now a 17-year-old obsessed with finding the killer and extracting vengeance. 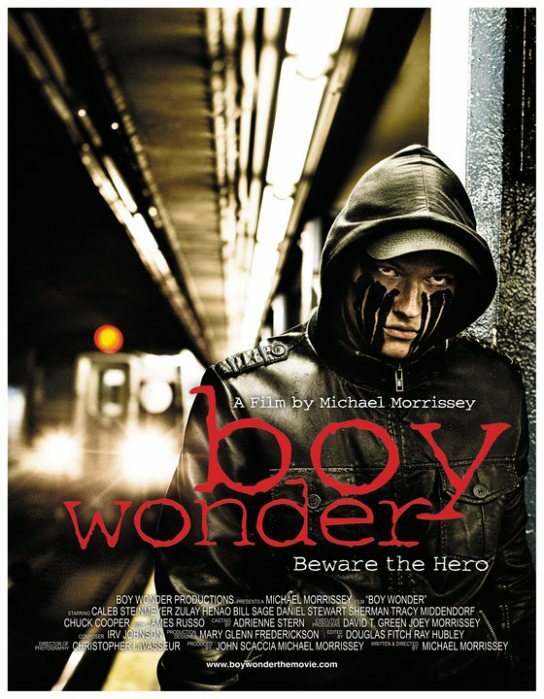 Any semblance writer-director Michael Morrissey’s harrowing drama Boy Wonder (2010) may have to a comic book superhero flick begins and ends there. Morrissey wisely and elegantly aims for something darker and less fanciful than spandex-clad wish-fulfillment. The young man, Sean (Caleb Steinmeyer) is a quiet, accomplished student who spends his spare time working out in a small boxing gym. On the sly, he prowls the seedier areas of Manhattan, exorcising his bottled-up hatred of his cop father (Bill Sage), a recovering and formerly abusive alcoholic who may have arranged the death of Sean’s mother, by seeking out violent scumbags, instigating a confrontation, and then beating the hell out of them. As his attacks escalate, the disturbing possibility that Sean is psychotic arises. It’s that last little bit that Morrissey exercises particularly well. Suddenly our sympathetic protagonist takes on a whole new aura, and everything the audience has absorbed from the movie is turned on its ear. It’s a tricky character to play, especially for a young actor, but Steinmeyer handles himself superbly. That Morrissey put in maximum effort on the story before filming it is evident, and his gritty, realistic, and ambiguous take on vigilantism makes excellent counter programming for any summer comic book blockbuster.